Ready to clear the sample data out of your project? Follow the steps below. On your Features board, arrange features By hierarchy. Then select the sample product to open its details. 2. Toward the top of the side pane, select the delete icon to remove the product. 3. 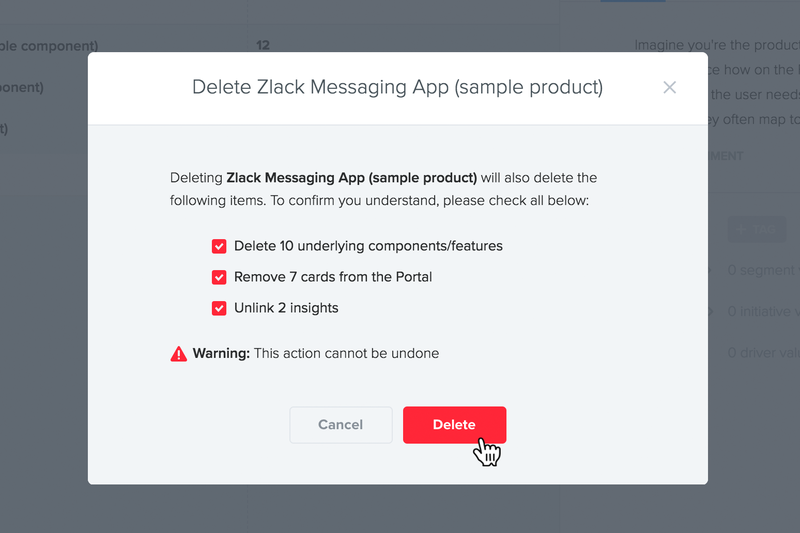 Confirm that you'd like to delete the product and all its underlying components/features. Voila! The only remaining sample data are the data columns, which you can rename to suit your purposes or delete. Access column configurations using the configurations bar toward the right of your screen.